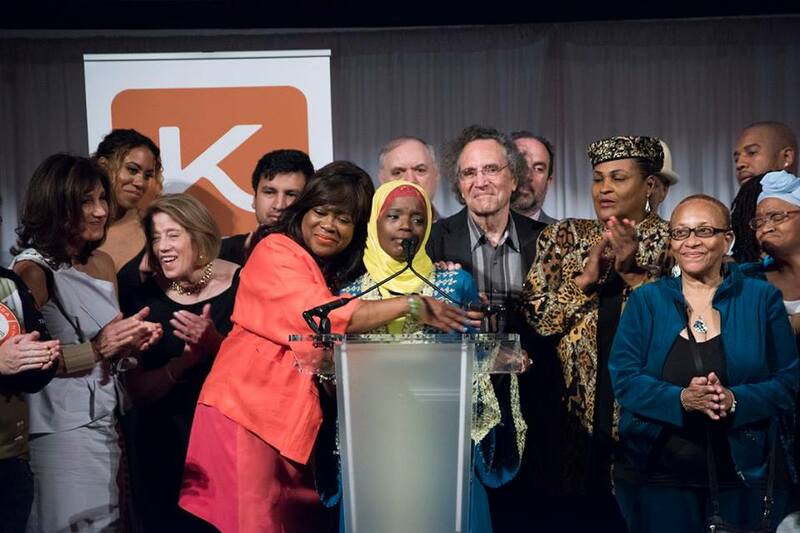 We are humbled by the turnout, support, and love shown to our organization at our #KTQ50 Anniversary Gala. Friends, family, supporters, filmmakers, and subjects from 50 years of Kartemquin's work came together to celebrate this milestone. We began our evening overlooking the Chicago skyline as Executive Director Betsy Steinberg, Board Chair Jason Stephens, and Founder Gordon Quinn got the 350+ crowd excited for the next 50 years of innovating and challenging filmmaking. We then moved to the rooftop of the Harris Theater, joining hundreds of fans and members of the filmmaking community from Chicago and beyond to eat, drink, and dance the night away. The New York Museum of Moving Image will host 16 Kartemquin films from August 19-28 including the NYC premiere of Raising Bertie and the 162 minute Sundance cut of The Interrupters. From September 16-26, UCLA Film & Television Archive, and the International Documentary Association (IDA), will host a retrospective of 15 Kartemquin Films in Los Angeles, including the LA premiere of Raising Bertie and a special event at the IDA Getting Real Conference. Kartemquin is entering into a partnership with ArcLight Cinemas to host the KTQ Fall Festival on November 2-4 in Lincoln Park, Chicago. The Festival will screen groundbreaking work from our Filmmaker Development Programs, including our KTQ Labs, Diverse Voices in Docs, and the Kartemquin Internship. Attendees will get the opportunity to see sneak previews of in-progress works and new films. Additionally, for the first time in its history, Kartemquin will financially support projects at critical stages of production. These new film funds will bring innovative storytelling and diverse new voices to a broader audience. You can read a full recap with photos at RogerEbert.com and learn more about the exciting new annoucnements here. Craft, Community, Change: 50 years of Kartemquin Films from Kartemquin Films on Vimeo. We are so excited about these next steps forward in our future as well as overwhelmed by the events and generosity shown to us on our birthday. We are going to continue celebrating this milestone with lectures, screenings, exhibits, retrospectives, and more throughout the year. On July 26, the City of Chicago’s Department of Cultural Affairs and Special Events will host a special Kartemquin Night at Millennium Park as part of their annual Summer Film Series. The evening will consist of a free screening of Kartemquin's classic 1968 documentary Inquiring Nuns, in which two nuns walk the streets of downtown Chicago asking citizens, "Are you happy?" A special free exhibition: “Kartemquin at 50: Democracy Through Documentary” which is running through August 20 at EXPO 72 gallery in Chicago, tells their story through a curated selection drawn from their archive of over 30,000 historical photographs, artwork, objects, documents, and unique video and film equipment. Upcoming gallery talks include Kartemquin’s Technical Director Jim Morrissette, Directors Maggie Bowman, Liz Stanton, Dan Rybicky and Aaron Wickenden, and more. You can find a full list of the gallery talks here. Stay in the loop by visiting KTQ50.org for an updated event calendar and keep the conversation going with our hashtag #KTQ50. Thank you to all our fans, filmmakers, subjects, sponsors, friends, and family. You made this one unforgettable birthday!